As we travel all over to watch sporting events around the world, we are on a constant adventure to not only cross stadiums from our bucket list, but to indulge in the culture. That includes the unique food and eating at the top Edmonton restaurants that the city has to offer. Sports Travel is definitely Elite Sports Tours strong point, however we also have a ton of experience and knowledge of the top Edmonton restaurants and things to do when traveling to visit an unfamiliar city. Edmonton is a popular travel destination for hockey fans, as they are home to one of the best players in the NHL, Connor McDavid of the Edmonton Oilers. With a brand new arena built in 2016, Rogers Place is one of the newest hockey arenas in the NHL. The Elite Sports Tours team traveled to Edmonton, Alberta to watch the Toronto Maple Leafs at Edmonton Oilers in some Saturday night hockey in Canada. But first we had to make a stop at Meat For Dinner - YEG - Located in Old Strathacona just on the other side of the North Saskatchewan River. The restaurant is a smokehouse featuring an array of different BBQ during dinner service, which starts at 4:00 pm daily. 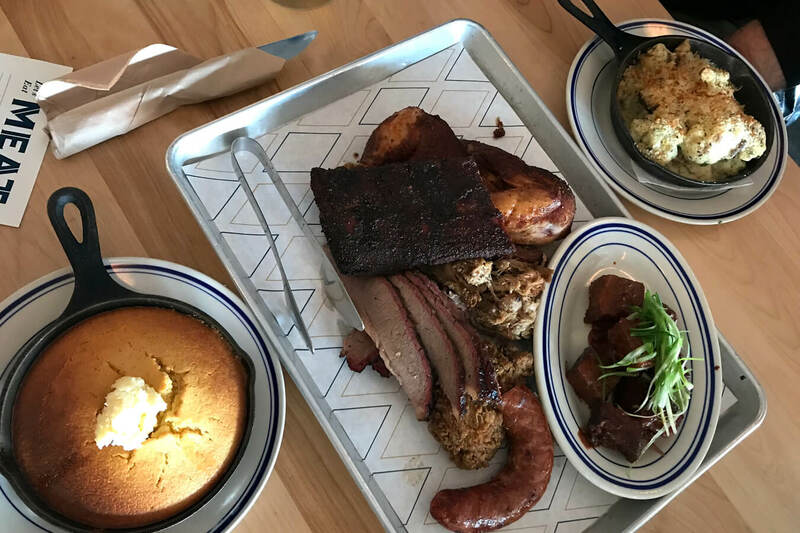 The Menu features the classic Brisket, Chicken, Ribs, Sausage and Pulled Pork. 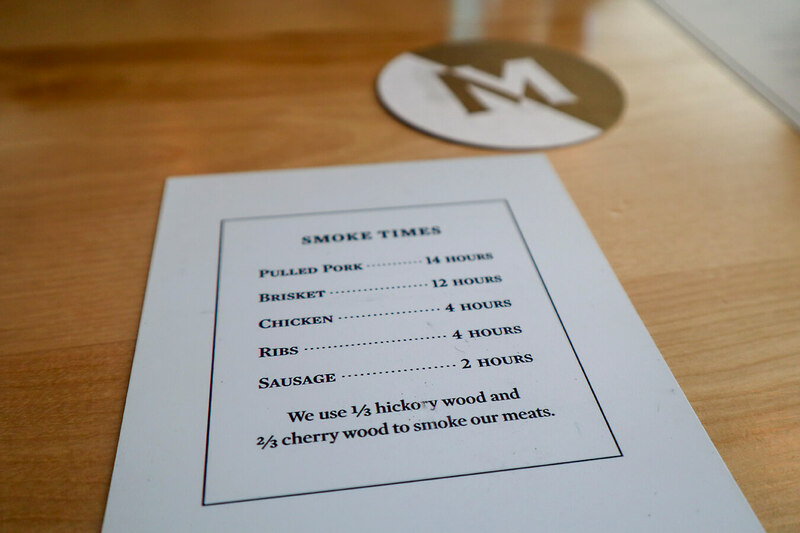 There are also daily features, when we had dinner they featured Smoked Turkey and Burnt Beef Ends which were unbelievable. The entire dinner platter was so delicious, we had to come back the next morning to brunch! 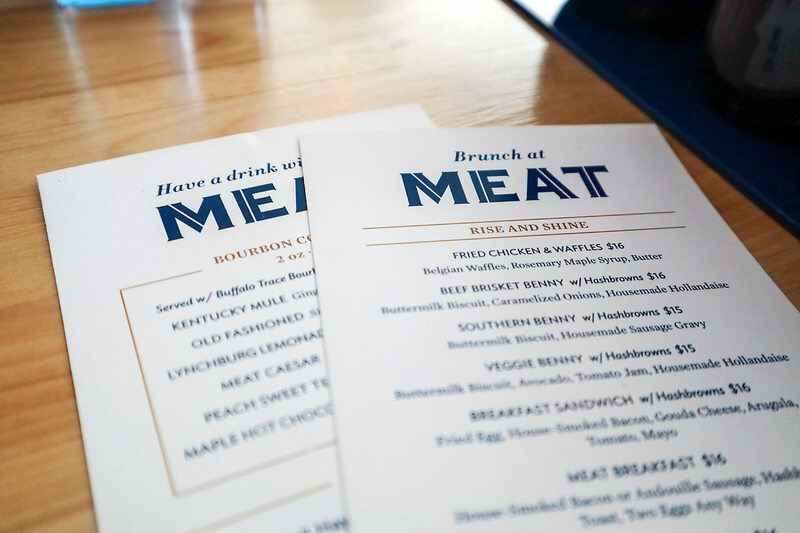 Known for their different BBQ Sauces which you can actually buy as a gift to take home, Meat is definitely a restaurant you will want to stop by when you travel to watch an Oilers game. Be sure to come hungry, if you arrive before 4:00 pm for dinner service, they do have sandwhiches which you are more than welcome to order. They also have a bar and serve some delicious cocktails which you can always enjoy while you wait for the dinner service to try the smoked meats. Here's a peak at some of the top Meat For Brunch menu items that the Elite Sports Tours team got the pleasure of tasting! 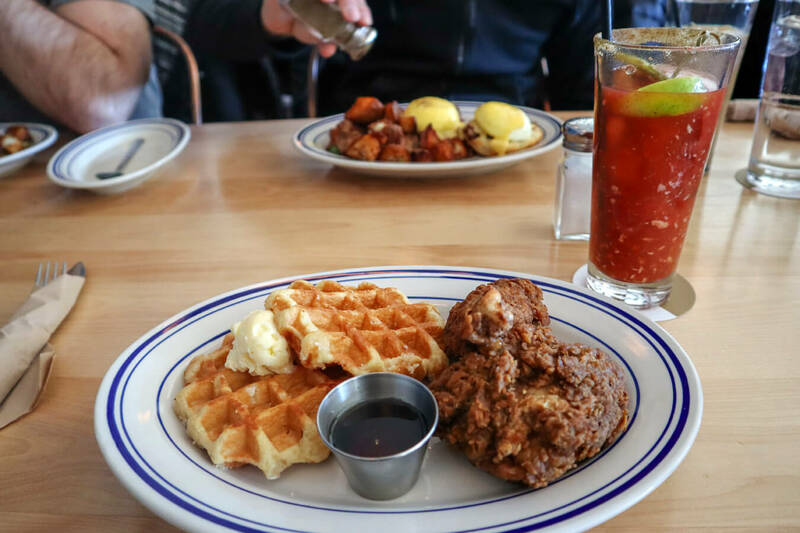 Top Edmonton Restaurants - Meat YEG: Fried Chicken & Waffles - Belgian Waffles, Rosemary Maple Syrup, Butter + Caesar. 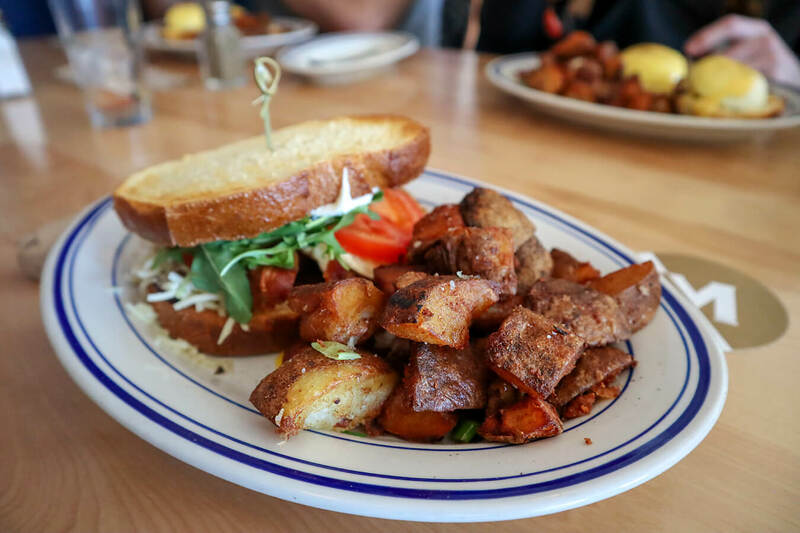 Top Edmonton Restaurants- Meat YEG: The Breakfast Sandwhich - Fried Egg, House-Smoked Bacon, Gouda Cheese, Arugula, Tomato, Mayo. 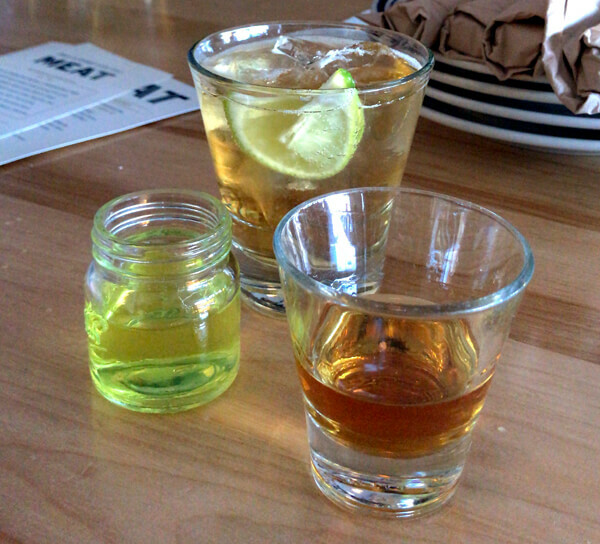 Before we left one of the Top Edmonton Restaurants we had to try the signature Pickleback Shot (Shot of Bourbon + Shot of Pickle Brine). It was actually a lot better than anticipated! 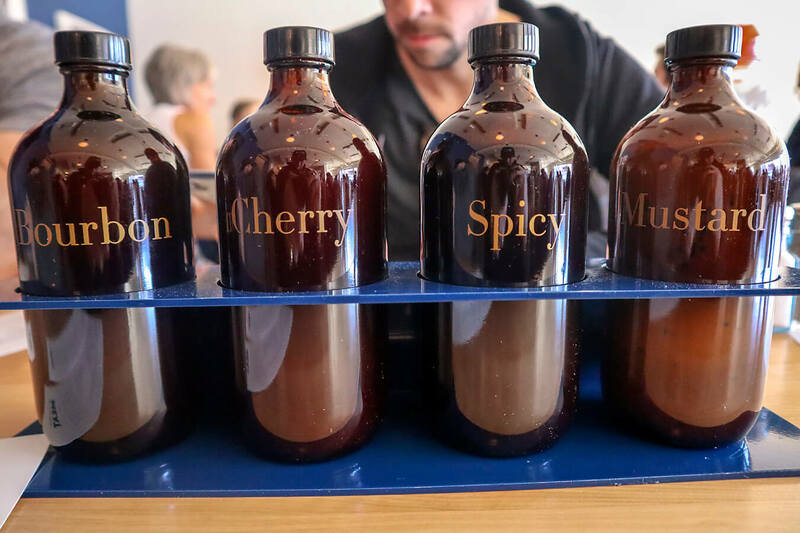 We would definitely do another Pickleback. We would highly recommend stopping in for dinner or brunch when you travel to Edmonton. Our team had a great time and that makes one of our top Edmonton restaurants. We will be sure to stop by again when we travel to Edmonton. Meat For Dinner doesn't take reservations which makes it difficult before Oilers games, however it is worth the wait if you aren't going to miss the big game. 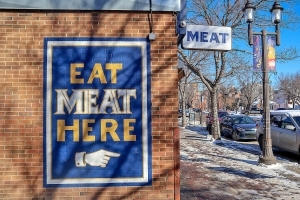 We would recommend making the stop at Meat when you travel. The food and service was great. 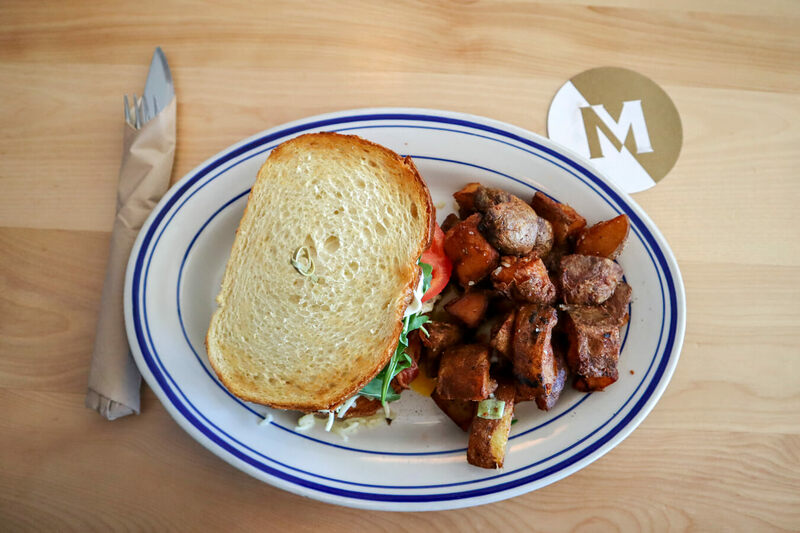 Worth trying for Dinner or Brunch and for that reason Meat made our list of Top Edmonton Restaurants.